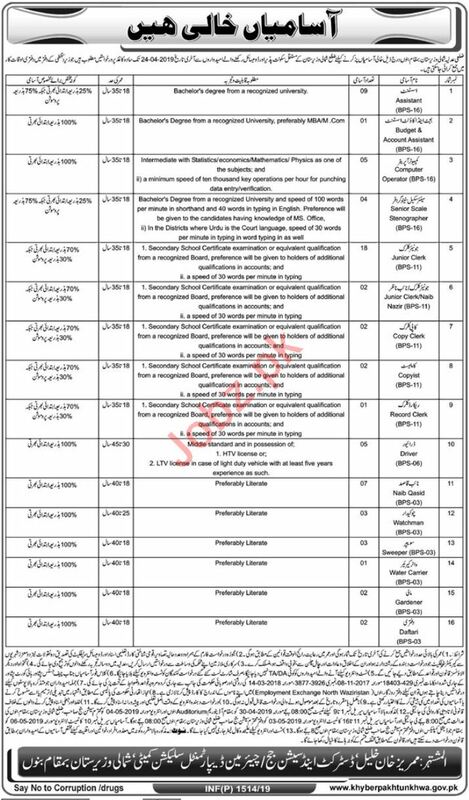 District & Session Court is inviting experienced and energetic candidates for the posts of Assistant, Budget Assistant, Accounts Assistant, Computer Operator, Senior Scale Stenographer, Junior Clerk, Copy Clerk, Copyist, Record Clerk, Driver, Naib Qasid, Chowkidar, Sweeper, Water Carrier, Maali, Daftari in Bannu. Interested candidates can contact for further information. You can apply online at vacancy after registering at http://www.jobz.pk site.